Also involved is our Wesley Nurse Marti Faulkner RN-BC of the Methodist Healthcare Ministries of South Texas, Inc. The churches have received two shipments thus far of this humanitarian aid. They are expecting a larger third shipment which will be delivered to Principe De Paz United Methodist Church on Monday, April 15. 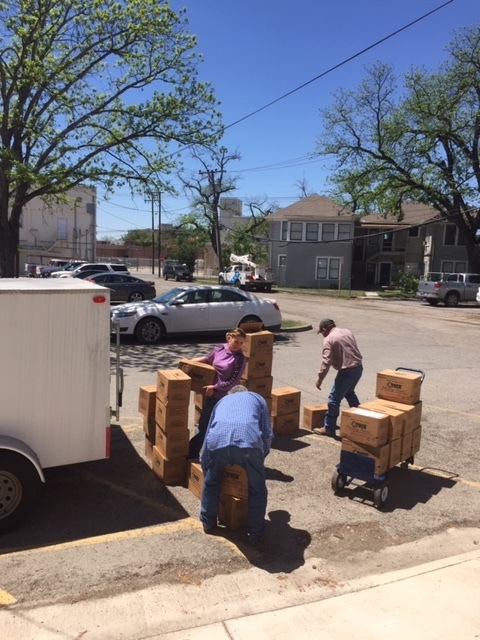 The Second shipment involved Richard and Lynda Mergen, volunteers from North Shore UMC of the Rio Texas Conference of the United Methodist Church. They took a 503 mile trip around Texas. 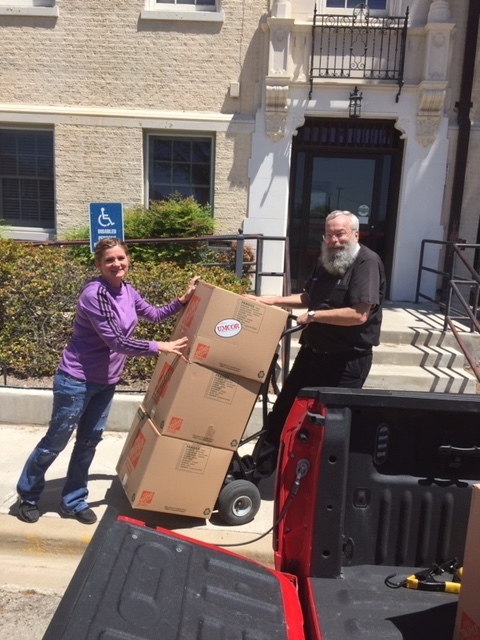 They started early in the morning on April 8, 2019, from their home church at Canyon Lake and drove to Kerrville picking up personal hygiene kits from the Martinez Disaster Response Warehouse. Then they headed west and arrived in Sonora to pick up nonperishable food items (or MREs). 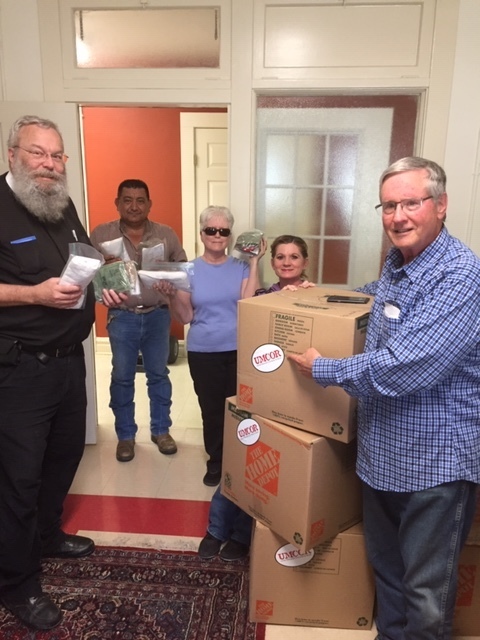 Their destination was 90 and 145 miles south along the United States and Mexico border to Del Rio UMC and Eagle Pass UMC to deliver items for UMCOR. These items will be utilized for the refugees that are expected to arrive here on the border any day now from Mexico and Central America. The Mergen family arrived back at their home later that evening.